The Happy Whisk: What Am I? A poorly done special effect? Are you a stepford wife? That would be the beta version of Anne Coulter, if memory serves. Stepford wife like Ray said! 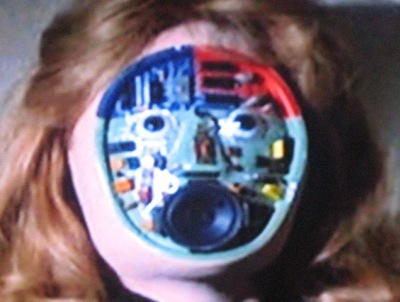 Fembot! Look at that classic 70s outfit! Fembots it is. Homemade bagels for everyone who played. And an extra batch to iZombie and Miss Holly for nailing it. Rats! 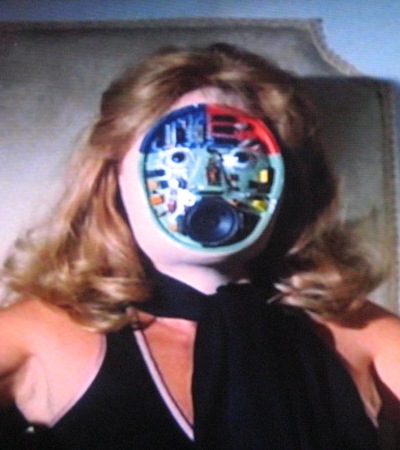 just catching up on things and I knew it was a Fembot too :( Any bagels left? Flea: For you I make a fresh batch. William: That's a good one.